Get to know the dancers of DCCD, their inspirations, and where their training began. We would like to introduce David Cross! 1. How long have you been dancing? 10 years. I started when I was 14 and began high school. 2. Why did you start dancing? My first experience dancing was actually by doing musicals. I enjoyed being on stage and having a great time with all of my friends. One of my friends suggested I should come join them in taking break dancing lessons and I ended up falling in love with it! Over the rest of high school I slowly switched from musicals and acting to just dancing. 3. Who or what is your biggest dancing inspiration? There definitely isn’t one person or thing that has always inspired me to dance. At different points in my life and in my training, different individuals offered different forms of inspiration. From my first breaking teachers like Jerome Larkins and Isaac Limas to big name bboys like Cloud, Ronnie, Casper, and Kid David. My Dad was also a huge inspiration for my dancing and pursuing it as a career. He always told me to find what you love to do, and then do it. After he passed, this hit me harder than anything else. I realized how short this life is and how you need to make it count. That drove me to attend college for dance even though I had never done ballet or modern before. I knew I needed to know more than just breaking to make it as a professional dancer. 4. What is your proudest dance achievement so far? This opportunity with Dark Circles is definitely making one of the top achievements! Some other amazing times I’ve had are traveling throughout Australia dancing with GX International, as well as attending battles all over the Midwest with my crew Boogie Munstars Family. Performing at the grand opening of the Kauffman Center in Kansas City was amazing. Dancing at the Kennedy Center in D.C. was also incredible. Basically any time I get to travel and dance with those I love is an achievement in my book! 5. Tell us about your hobbies outside of dance. I’m a car enthusiast to the core. I love cars and working on mine. I love going to car meets and shows and seeing the amazing things people are doing. I love seeing different kinds of art and going to different museums. I enjoy seeing other people create and express themselves. I’ve also recently discovered that snowboarding is a ton of fun as well as skydiving! 6. Choose one word to describe your dancing. Authentic. I feel as though dancing should be vulnerable and honest. For the longest time I thought I had to put on a certain character for each dance I was doing. It took me years to realize that you simply need to be yourself, and I’m still discovering this. Get to know the dancers of DCCD, their inspirations, and where their training began. We would like to introduce Hailey Harding! I have been dancing since I was about seven years old. I always dressed up in tutus and leotards and pranced around the house. Honestly, I think that’s all my little body wanted to do growing up. My mom placed me in my first dance class at my day care, and the dance instructor told her that she saw something in me and that dancing was something I definitely needed to consider continuing more seriously. Inspiration through diversity is what I live for. It is what pushes me to wake up, communicate, create, think, learn and give. I am constantly inspired by the dynamic and disparate individuals, things and movements that go beyond the comfortably normal reasons and deliver a sincere and rare piece of art- whether that be a trumpet player or a drag queen. I have always lived to be different and when I see, feel or hear something I never have before, I am inspired. What is your proudest dance achievement thus far? I would have to say graduating from Booker T. Washington High School for the Performing and Visual Arts would be my proudest achievement thus far. It is there where I found the passion and idea to let dance consume me and my life entirely, and I truly believe/know that without that school, I wouldn’t be the artist I am today. Tell us about your hobbies outside of dance. Dance is really the only thing I can do/need/want to do with my time, so I don’t really have many other hobbies. But I do enjoy clothes/fashion (thrift), pictures, food, music- lots of music and same nice souls, words and energy to share my time with every once in a while! Chose one word to describe your dancing. I have been told my movement quality is very fluid/gum-by/liquified, but if I had to pick one word to describe my dancing it would probably be willing. I enjoy many different styles of dance and I am always curious and open to exposing my body and mind to growing in each form. Alex Karigan Farrior was born in Toronto, Ontario and raised in Dallas, Texas. She received a BFA from Southern Methodist University. Alex has danced professionally with Amy Marshall Dance Company, BODYART, ModArts Dance Collective, and Bruce Wood Dance Project. In addition to performing, Alex has also collaborated with renowned dance photographer, Lois Greenfield, and has been featured in Ms. Greenfield’s 2011, 2012, and 2013 Breaking Bounds calendars. Alex is currently pursing an MFA in Classical & Contemporary Dance at Texas Christian University. Alex will make her DCCD premiere Sunday, June 1 in ’Slump’. 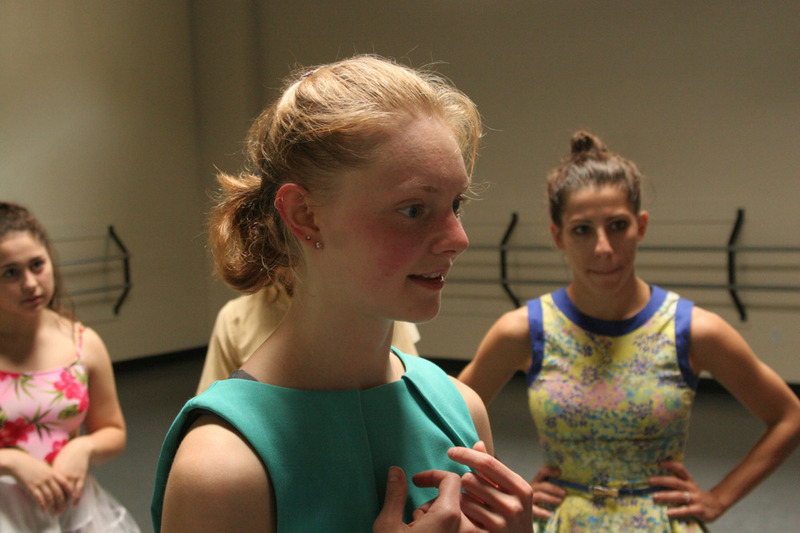 Get to know some of the dancers at DCCD, their inspiration, and where their training began! We would like to introduce Salvatore Bonilla! I have been dancing for four years now. I saw a performance at my high school, and I was completely blown away by the amazing work that was out on stage; I fell in love with it the moment I saw it. I wanted to do that and so I went for it. 3. Who or what is your biggest dance inspiration? I’d have to say my mom. She has pushed me further than anyone in my life ever has. She quit when she was younger and she’s regretted it ever since. I dance to make my mom proud, and so that she can see her, and my, dreams come true on stage. I have been blessed with many achievements in my career so far. I’d have to say that the biggest one is having Josh ask me to join DCCD for this up-coming season. I cannot thank Josh enough for this amazing opportunity to kick-start my professional career. Well, I don’t really do much besides dance. I love the fact that dance consumes a good part of my life because I love every minute of it. I like to read a good book every once in a while though! 6. Chose one word to describe your dancing techniques. Free. I like to think of being some place where there is no judgment of what movement is suppose to look like. I move in a way that I feel unrestricted by anything and feel free to do what I want. Get to know some of the dancers at DCCD, their inspiration, and where their training began! We would like to introduce Emily Bernet! 1. How long have you been dancing? 17 years. I started dancing when I was three. 2. Why did you start dancing? I have videos of my sister and I performing for my parents as soon as we could walk. When my mom put me in my first ballet class there was more skipping around the room pretending to be a butterfly than technique, and I immediately fell in love with it. 3. Who or what is your biggest dancing inspiration? All of the great choreographers who created the languages we study today, particularly Martha Graham and Ohad Naharin. 4. What is your proudest dance achievement so far? Dance has brought me so many proud moments. In high school, my best friend and I put together a dance performance benefitting one of our teachers who suffered from a stroke. Watching and performing alongside so many of my friends was definitely a proud moment. I also had the opportunity to perform in Joost Vrouenraet’s ’Rite of Spring’ at the Winspear Opera House last May, which was an incredible experience. And, of course, I am extremely proud to be moving into my second season with DCCD. 5. Tell us about your hobbies outside of dance. To be honest I’m pretty obsessed with dance, but I do love going to yoga and reading good books. 6. Choose one word to describe your dancing techniques. Honest. I love simplicity and try to be straightforward with my movement. I love how Josh’s choreography focuses on natural momentum and strives to make each movement happen as a result of the movement before it.